Edition #2 of Prepared Projection Performances by Gibson + Recoder. For information about the first edition, La Région Decentrale, click here. 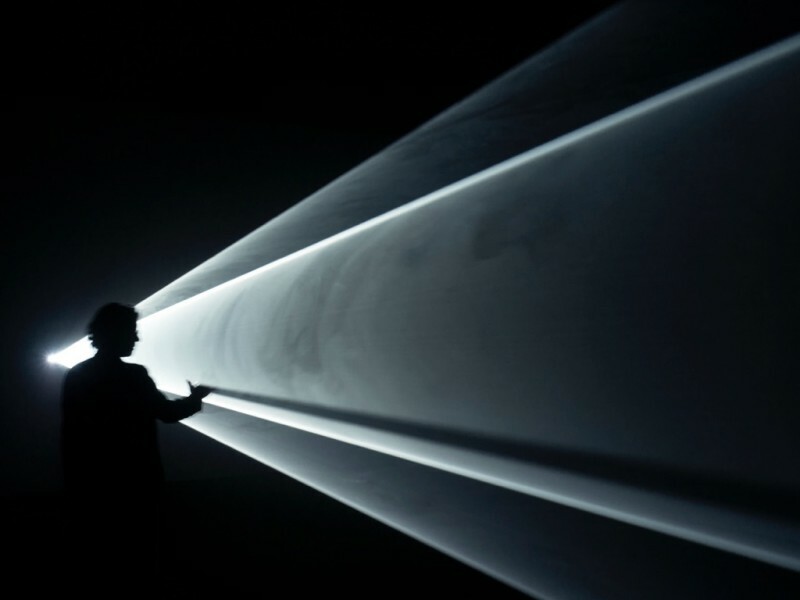 Part of a series of works collectively referred to as solid light films, Anthony McCall’s Line Describing a Cone sees the fog-thickened beam of a 16mm projector transformed into a three-dimensional moving sculpture. As the beam is viewed from various vantage points within the space it transforms, shifts, and demands attentive observation. In this Prepared Projection Performance from artists Sandra Gibson + Luis Recoder, a reprojection and reframing of McCall’s work will be explored through projecting two prints of Line Describing a Cone in a cinematic experiment.